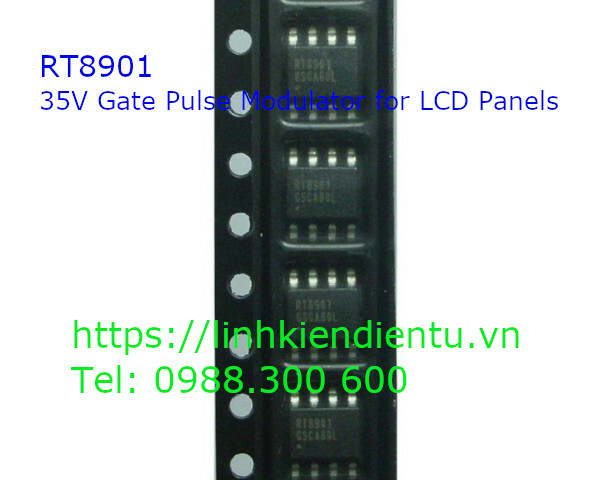 The Gate Pulse Modulator (GPM) is specially designed for the application of gate driver in TFT LCD panels. The GPM is controlled by frame signals from timing controller to modulate the Gate-On voltage that acts a flicker compensation circuit to reduce the coupling effect between gate lines and pixels. It also can delay the Gate-On voltage while power-on for achieving a correct power-on-sequence for gate driver ICs. Both of the delay time for flicker compensation and power-on-sequence are programmable by external resistors and capacitors.